Indulge in this cheesy delight with your favorite cuppa for a perfect evening!! 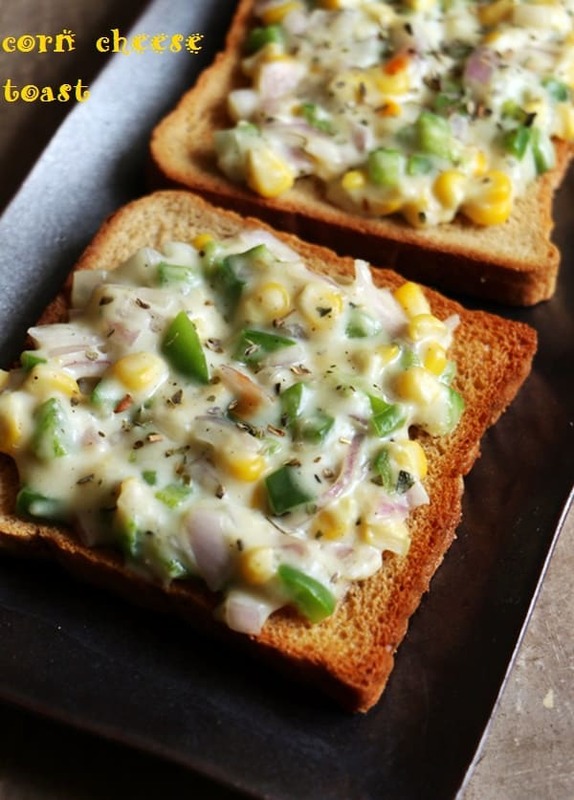 To make these yummy cheese chilli toast I have first prepared the white sauce adding very few vegetables and lots of cheese, (sometime you can definitely enjoy such treats with cheese and flavors) isn’t it? Making white sauce can be little tricky for the first time but definitely not something very difficult. The key for the smooth white sauce add cheese towards the end, keeping the flame very low or after switching off the flame. I have made this cheese chilli toast in oven and used bread loaf. You can add any vegetables of your choice, boiled corns. I have added parsley, bell peppers, onion, garlic and some flavors with dash of turmeric!! This is a quick and easy breakfast recipe for your kids or a nice after school snack and yes can be a perfect starter in your parties. Do try this recipe and share your comments. Preheat oven for 200 degrees celsius/392 degrees Fahrenheit before starting. Slice the bread loaf into half or cut the slices if you are using bread and keep aside. Grate the cheese and place aside in the bowl. Finely chop all the vegetables in the recipe and keep aside. In a pan, take some butter and sauté onion, green chilli, pepper and garlic (minced or finely chopped) and cook until softened for about 6 minutes. Add flour and salt; cook, stirring frequently, until mixture is pale golden. Whisking constantly, pour in 1 cup milk and whisk until smooth. Cook mixture, stirring constantly along the bottom of pan, until boiling, about 5 minutes. Reduce heat to low. Simmer gently, stirring occasionally, until sauce thickens and does not feel grainy. Now add the sautéed veggies and parsley to the white sauce. Add red chili flakes, turmeric and mix for 4-5 minutes. Add cheese and mix very well. Switch off the flame. Now spread the white sauce on bread loaf, sprinkle grated cheese and oregano and bake for 10 minutes or till the toast are golden and crisp. Serve with hot cuppa or tomato sauce. Always maintain low heat while making the sauce. Switch off the flame after you add cheese, else the cheese will become lumpy. If making for kids, skip green chillies. Yellow glaze is of cheddar cheese and the dash of turmeric I added while making white sauce. Cheese cube should be cold and firm while grating it. If they are kept outside refrigerator for a long time you won’t be able to grate it so remove the cheese cube only when you want to grate them. You can make this white sauce and refrigerate it. It can be used for pastas, baked vegetables or even as filling for sandwich. You can use brown bread, white bread, multigrain or any bread loaf. Heat a thick bottomed tawa on a medium flame.Keep the flame to the lowest and place the bread slices on the tawa. Cover with a lid in such a way that the lid does not touch the grated cheese. Roast for some minutes till the cheese melts.